“Can you tell me your success rate?” It’s a question often asked in the course of researching the credibility and effectiveness of a particular treatment center. It’s a sensible question, the kind of question most people think they should ask. However, behind the sensible questions about insurance, payment arrangements, and so forth is the question they really want to ask. It goes something like this: “Can you please tell me that my wife, my sister, my daughter is going to be okay? Can you help me get out of this mess? 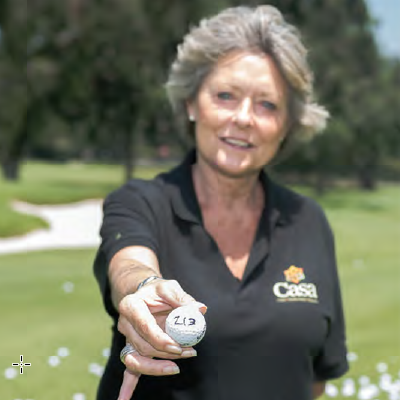 “ And when a potential client or her family reaches out with despair and desperation, Casa reaches back with hope. Extensive research through tracking treatment outcomes has identified several factors that contribute to a client’s success. Two that stand out are: 1) continuing care and 2) the client’s relationship with her primary counselor. 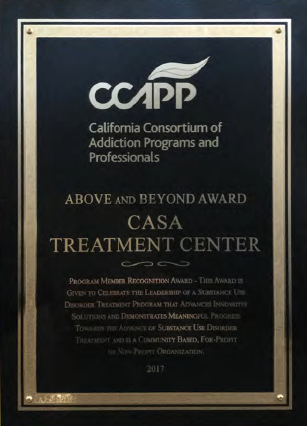 Casa offers the entire continuum of care beginning with detox, which should be followed by residential treatment for one or more months, which should be followed by day treatment and intensive outpatient for three months or more, which should then by followed by aftercare for a year, and finally, active participation in a twelve-step program, which the client has ample opportunity to make a way of life while going through the continuum of care. We also advise the majority of our clients to live in our sober living facility for a year following completion of residential while attending outpatient and on through aftercare. This plan sometimes sounds like forever to the family paying for treatment. However, evidence shows that it works. There are several groups that do very well in treatment—doctors/nurses, pilots, and attorneys—and they all have one thing in common: they are monitored for three or more years as a condition of keeping their license. It’s also far less expensive than leaving treatment prematurely and having to repeat it over and over. 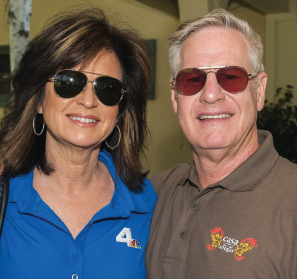 Casa works with families to make treatment affordable and relies on the generosity of our donors to help save lives. When a client arrives at our door and has had previous treatment exposures followed by relapses, we sit down with the client and get to the bottom of her difficulty. A pattern always emerges and it is often that the client has completed several 30-day residential treatment programs, but has refused outpatient, sober living, and aftercare. Sometimes the client claims finances are her reason for refusal, but we can almost always solve that problem, so more often, it is the client’s lack of understanding of the severity of her problem—believing that she can somehow make drinking and using drugs “work” even when all evidence is to the contrary. Another more insidious factor is often at play. Thirty days makes a huge difference in how a client feels. Her health begins to return. Her family sees the person they love begin to emerge again. The client gains an intellectual understanding of addiction. But none of these things are enough. Rather, they are necessary as a prerequisite for long-term recovery to happen. An addict needs to learn how to live—comfortably—without alcohol and drugs. She needs to develop routines that will sustain her recovery over the long term and she needs support and accountability to do so. This is where continuing care comes in. Our intensive outpatient program provides both loving support and strict accountability. Gradually, a client begins to understand that only by accepting responsibility for her recovery can she gain freedom from her addiction. We at Casa see ourselves as blessed to be there when one our clients takes her first steps into a new life.